On Fridays I like to post snapshots I took during the week that make me happy. We are dog-sitting my parent's beloved George. I noticed Piper and George back in the bamboo forest fighting over something. I went out there and found some evidence that George has a drinking problem. When I took the bottle away from him he was very upset. In fact, he was a very "Mad Dog"! 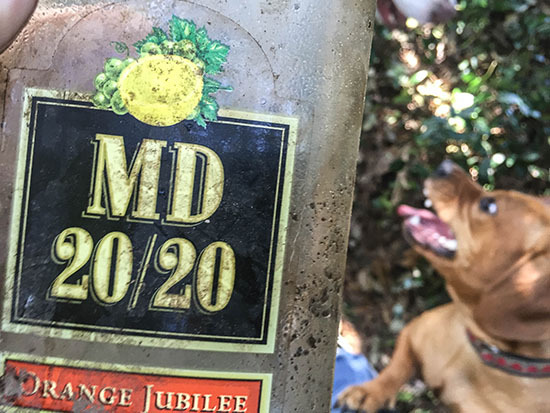 All jokes aside, you might ask why I have an empty bottle of Mad Dog 20/20 in my backyard. That is a very good question and I think I might have an answer. Our neighbors have college-aged children who like to party during the weekend. When they are having fun in their backyard Piper gets a bit excited because he wants to join in. 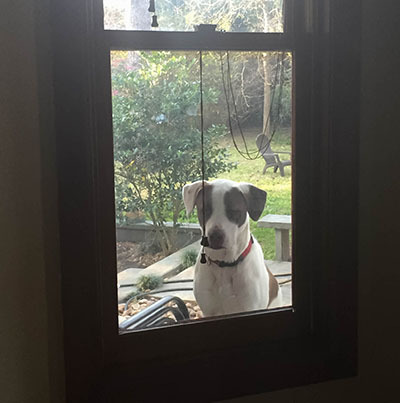 He starts barking and I have to put him inside. 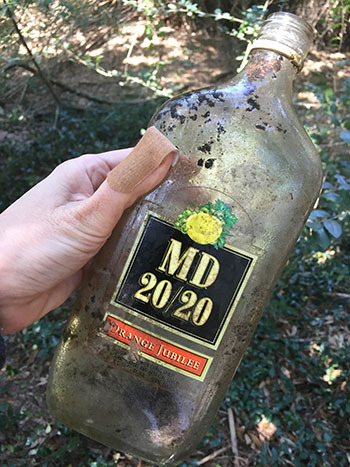 Well, I think the kids probably got sick of Piper barking and used their MD 20/20 bottle (the cheap alcohol of choice of 21 year olds?) as a annoying-dog-seeking missile. But this is just a guess. Maybe Paul sneaks back there and drinks MD 20/20 with George and Piper while smoking smelly cigars. When I am baking I have to put Piper outside because he is tall enough to eat anything I put anywhere on the kitchen counters. Plus I don't like dog hairs in my baked goods. The entire time I am in the kitchen he is over there at the window staring at me. 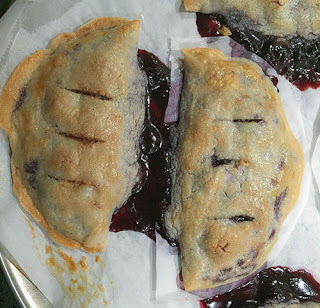 This is what I was making; homemade cherry pies. I used this recipe and substituted the meat filling with frozen cherries cooked with a bit of arrowroot to thicken them up. I also added vanilla to the crust and cherries. These were delicious and a bit messy. After eating our cherry pies we needed to get out and exercise. 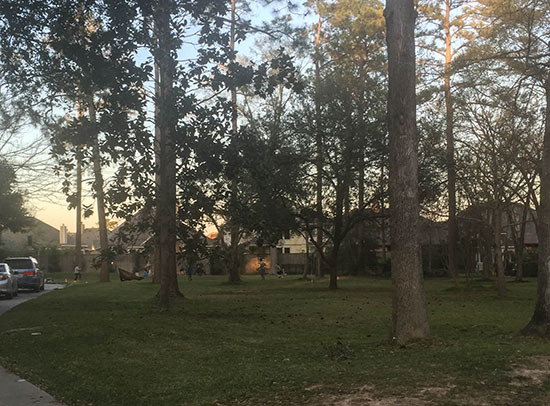 The boys went to their friend's house to play kickball. 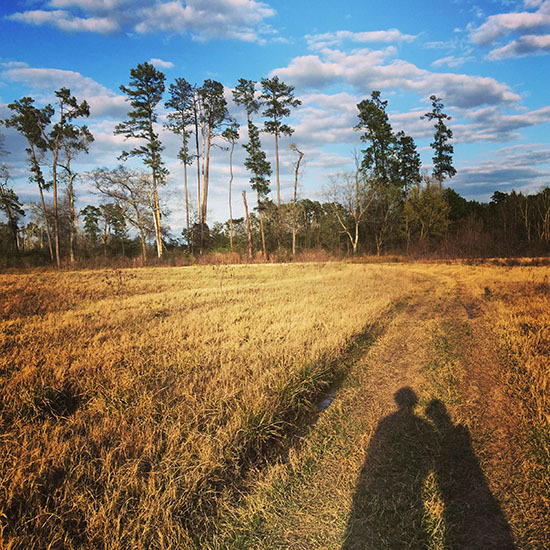 And Paul and I went for a romantic walk on the Greenbelt.